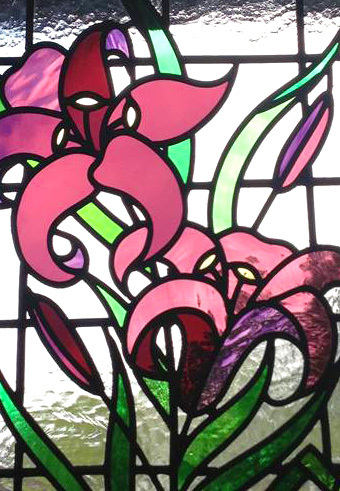 Within this category you will find a wide variety of styles and ideas in stained glass and lead lights. From Victorian style front door panels to bold and beautiful leaded lights for the stairwell. Some are encapsulated into sealed units to comply with the latest building regulations. A feature window could be a screen between two rooms or a stained glass window that makes a real impact bringing rich coloured light to an area within the home. Stained glass or fused glass roof lights can be a really great way to bring extra light to a dark hall or landing. 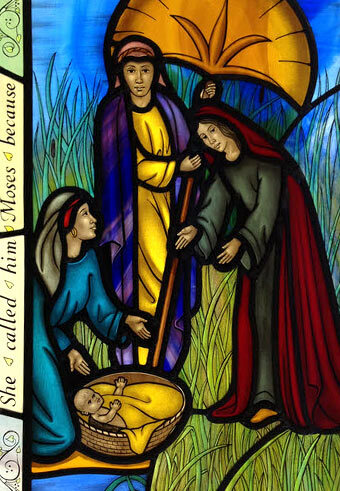 I regularly carry out restoration of damaged stained glass within places of worship. In this category you will also find examples of new work I have made for churches in the UK. 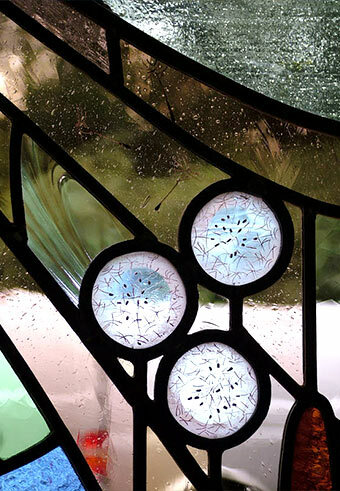 This varies from highly painted stained glass to more abstract and coloured leaded lights.